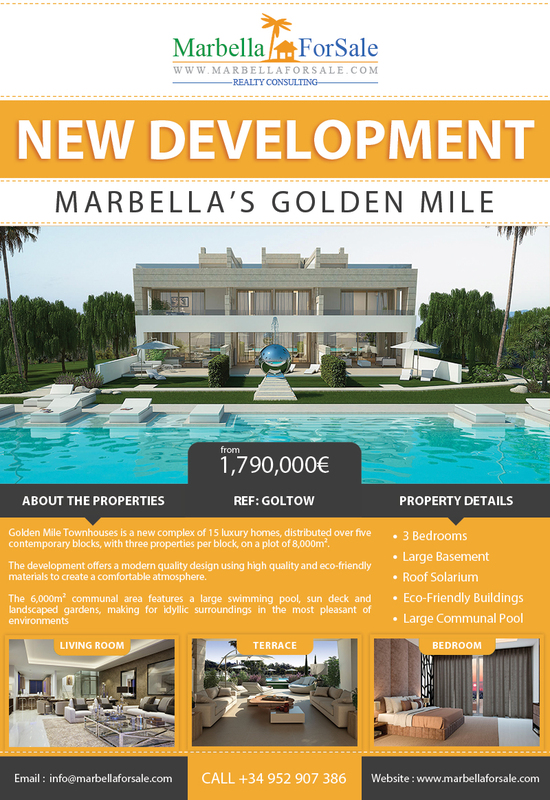 Las Perlas de Monte Biarritz is a new development of just three luxury villas located in a well-established residential area. 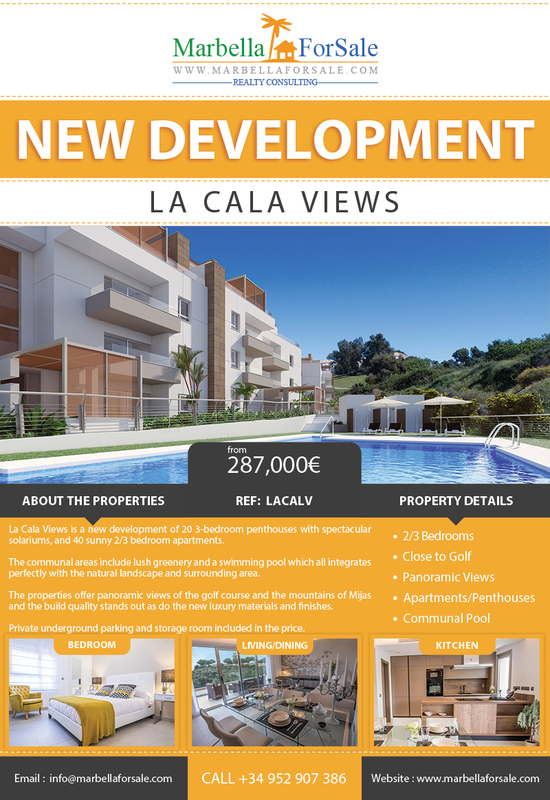 The properties are all spread over 2 spacious levels and sitting on large plots of over 1,200m². 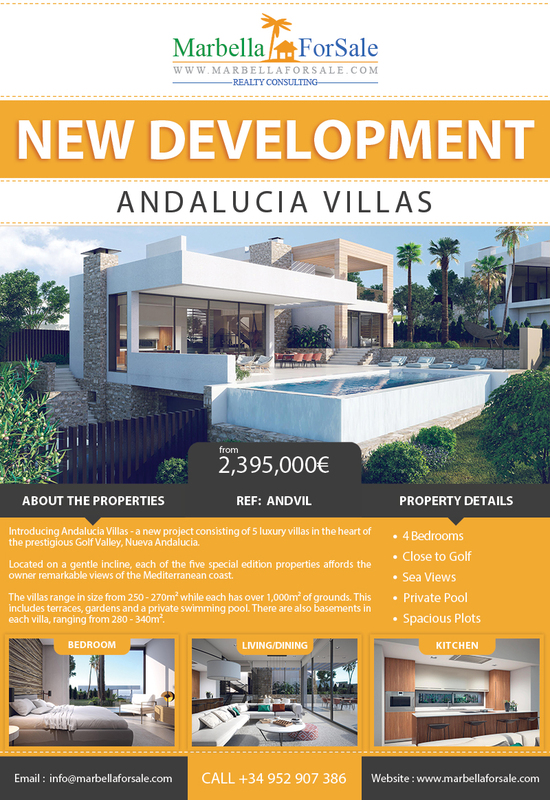 Introducing Andalucia Villas – a new project consisting of 5 luxury villas in the heart of the prestigious Golf Valley, Nueva Andalucia. 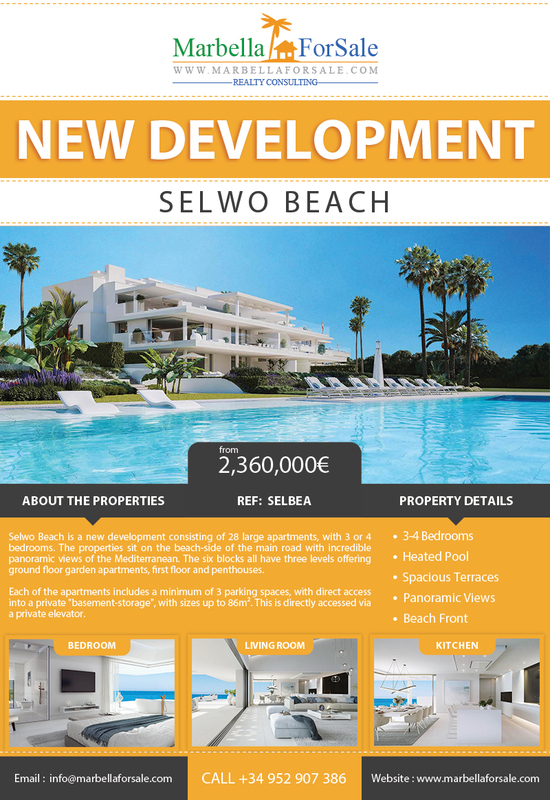 Selwo Beach is a new development consisting of 28 large apartments, with 3 or 4 bedrooms. The properties sit on the beach-side of the main road with incredible panoramic views of the Mediterranean. 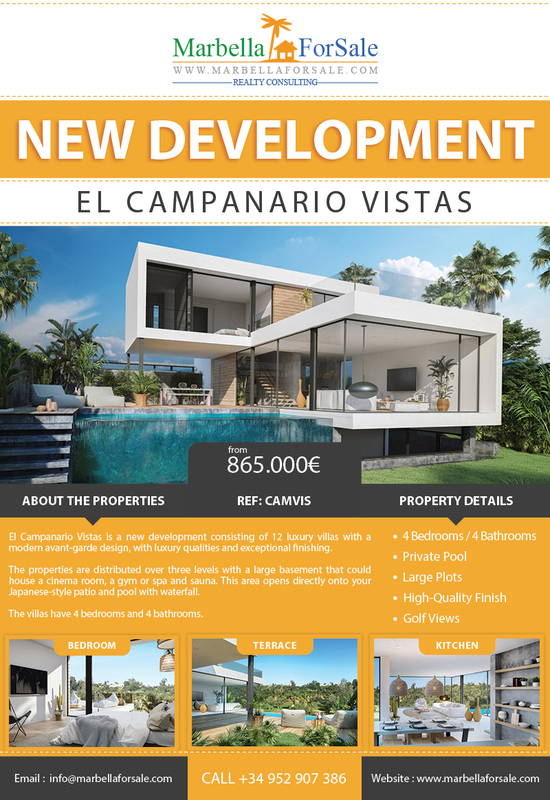 El Campanario Vistas is a new development consisting of 12 luxury villas with a modern avant-garde design, with luxury qualities and exceptional finishing. 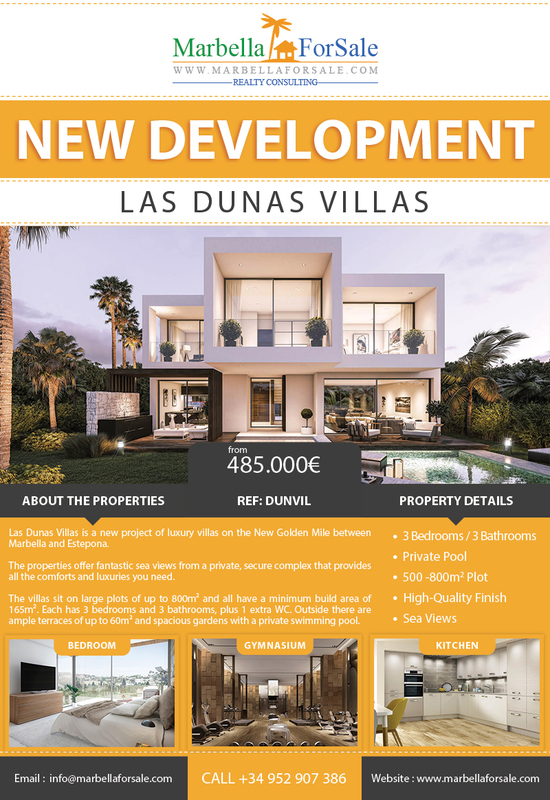 Las Dunas Villas is a new project of luxury villas for sale on the New Golden Mile between Marbella and Estepona. 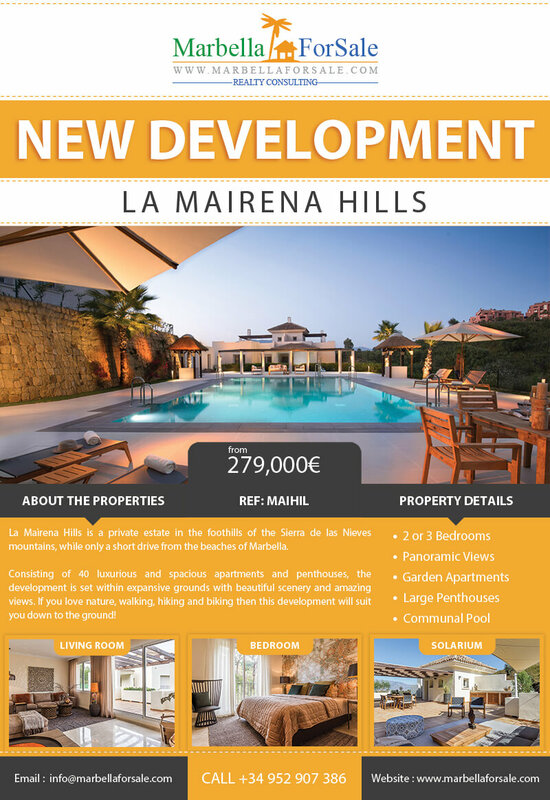 La Mairena Hills is a private estate in the foothills of the Sierra de las Nieves mountains, while only a short drive from the beaches of Marbella. The properties are divided into spacious garden apartments and duplex penthouses with large solariums.